I’m so thrilled to announce a new product up in the shop. Inspired by the classic instant film frames from days gone by. (we all miss you polaroid) This small acrylic brooch lets you wear your favorite photos, drawing, or even small notes. Made from 2 laser cut pieces of white acrylic it has a top loading slot to easily change out your mini-art as often as you want. These little pins are available in the peppersprouts etsy shop for $15. But here is the best part. 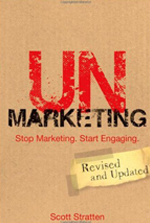 I’m giving you the chance to win one for yourself. There are 3 ways to enter. the more you do the more chance you have to win. Winners will be announced Monday, September 14, 2009. 1. Visit the peppersprouts etsy shop and post in the comments below this post what your favorite item is. 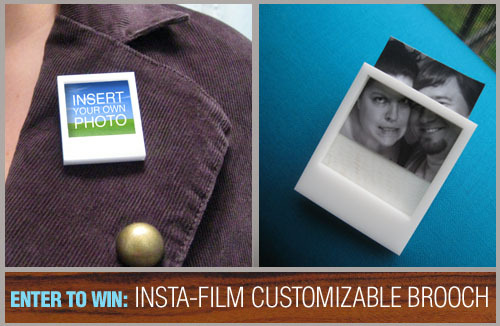 37 Responses to "ENTER TO WIN: a customizable insta-film brooch"
I know this doesn’t count but I added you to my weekly blog giveaway roundup! I love the brown fox mirror. I love this whole little shop. It’s got this really cool retro 60s era vibe, love it!